Those of you who check in on this blog every so often will know that I’ve had a new book in the works for some time now. 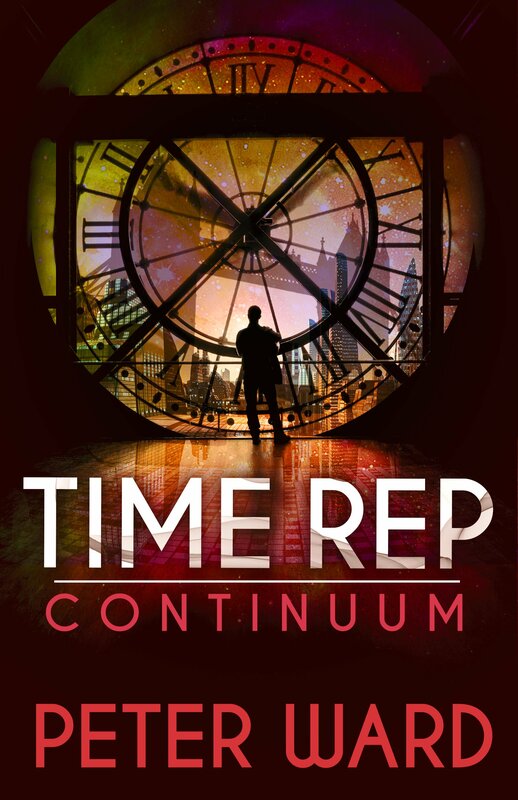 Well today I am pleased to reveal that the new book is Time Rep: Continuum – the sequel to Time Rep! Time Rep: Continuum will be released on May 24th 2016, which is quite a long way off, so if you have a time machine at your disposal, I suggest you use it to jump forward to next year and grab yourselves a copy right away! For those of you without your own time machine, I’m afraid you’re just going to have to wait. In the meantime however, I can tell you that Time Rep: Continuum is set two years after the original Time Rep, and sees Geoffrey Stamp whisked off on a brand new adventure through time and space. Imagine you’ve just discovered you’re the most significant person who’s ever lived. You saved the world from an alien invasion. If it wasn’t for you, everyone would be dead. That’s exactly what happens to Geoffrey Stamp, but there’s just one problem – he can’t tell anyone. You see, Geoffrey is a Time Rep – a tour guide for the 21st Century, meeting people from the future who travel back in time for their vacation. Everything he does needs to be kept a secret from the people in his own time, otherwise he risks changing the course of history. And that caused enough trouble in the last book. But now a new company called Continuum is offering holidays to the past, and they allow people to go back and change whatever they like. For Geoffrey, this sounds like a dream come true, until a future version of himself appears out of nowhere with no memory, a bullet in his back, and a Continuum business card in his pocket. Geoffrey soon finds himself in a race to solve his own attempted murder, but begins to wonder if his investigation is the very thing that nearly got him killed. What is the truth behind Continuum, and after saving the planet, why would anyone want him dead? Anyway, that’s my announcement. I hope you’re excited to see Geoffrey back in action! This entry was posted on November 15, 2015 by Pete. It was filed under Uncategorized .